Link a finish Friday is when we here at Richard and Tanya Quilts let you show off what you have been working on this week. We know that every one can not finish a quilt for every Friday, but every one can finish something to the point it is ready to show it off. My finish that I am showing off this week is a HST baby quilt that I made out of Tanya's Twirl stash. This quilt is not finished yet, but it was to a point I showed it off. In fact right now its in the sewing machine where I left it last night when Tanya got home and we started to watch Julia crawl. Now it is your chance to show off what you have done. The rules are simple. Link something you have done. Then visit 2-3 of the other quilts on the list and see what others are doing. 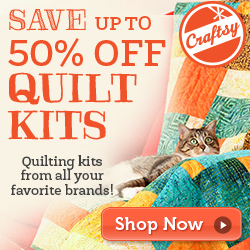 Please comment and share your support for our fellow quilters. Oh and don't forget each link enters you into a drawing to win 2 FQ that I give out each month. To the victor goes the spoils or so Julia is telling us. For those that have followed my blog for long you know that I started quilting because of Julia. She is such an amazing little girl. When she was born her little arm (right arm was hurt). We did not really talk about it because it worried us a lot and of course its a private matter. She has a early intervention therapist that has been coming over to our house to help us learn what we could do to help her. While yesterday they told us that they are going to do an evaluation and possibly kick her out of the program. What? They don't want to help her any more? In the last week or so Julia has decided she can reach and grab any thing that is near. As any good parent we try to keep things out of reach and we let her down on the ground as much as possible. While sadly we now have a problem. "Most babies learn to crawl between the ages of 7and 10 months"
Some one needs to let her know that she is breaking all the rules, now who has the manual for the advance speed kids? Needless to say I think her right arm is doing fine and ya its ok that she is getting booted from the program. I like to take the chance every Wed and review the week in progress. This week has been a busy one. We are still in the middle of 2 giveaways In the mood for a giveaway and Back to school blog hop The both of have plenty of time to enter them if you haven't already. This last weekend Tanya and I took some better pictures of some of our quilts at the International Peace Gardens near my house. All in all I think the pictures turned out good. I took a lot and I never realized how much work it was dragging quilts around. In addition to picture taking and visiting every blog in the blog hop. I have as of tonight personally responding (I don't think I missed any of the emails) to every one that entered into both giveaway. I just can't believe how much work that was. I am looking forward to this weekend, to get a little more sewing time in and less time reading and writing. I did get this quilt top finished this week and I believe Tanya basted it yesterday, but I have yet to go start quilting it. My wife keeps pestering me to get off the computer and get to quilting. I have many passions in life, quilting is one of them but by trade I am a programmer at heart and I have spent some time this week giving a small upgrade to one of my side projects that interests me a lot, but I just can't get others interested. That is my site http://trackmyshows.com/ it is a website that you can register with for free and then use it to find shows you like and track which episodes you have watched. Many of you have commented in the past about how I can quilt so much how do I have time. The fact of the matter is I don't sleep enough. I have ADHD and one of the side effects is it helps me be an amazing programmer (and quilter) sometimes that makes me fail as a husband and dad. Though as this last week I have been so involved getting my changes done to Track My Shows that I have neglected my kids and family. Any way the changes are all done and I can get back to quilting. To start out tonight I want to say sorry to my block swap partners for July on the http://blockswapadventure2.blogspot.com/ and http://quiltingblockswapsaustralia.blogspot.com/ 12 1/2 inch swaps. I have been doing too many things, but not the right things .In an attempt to right the ship I sent each of my partners 2 blocks this month (while my July block partners, I still need to do August I might make it by the end of the month). While not completely slacking on my block swaps, I did finish a quilt top last night for a baby blanket. Any way my little princess can always calm me down (not sure who took this picture, it was on the camera when I downloaded the rest) but she is in Jail in her crib and she has one of them let me out of here looks on her face. I just can't believe she is growing up so fast. Speaking of growing up, Jared is in 3rd grade and again I found on the camera this official I got dressed and ready for school picture. Giving away a FQ and 2 bowls my sister in law made. Posted by Richard. Will ship anywhere. 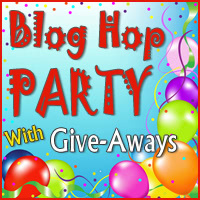 Today is Quilting Gallery's starting day for blog hop with giveaways to celebrate back to school days. Tanya and I are excited to celebrate because we have 3 kids back in school. To let you know a little about Richard and Tanya Quilts, our quilting adventure or rather my quilting adventure started back in December 2011. I have been married for a while now and at that time had 3 wonderful children ranging from 16 - 7. My wife and I had decided that it was time to have another child (some of you may be thinking with kids that old we must be nuts), but we decided to have another baby. After Tanya got pregnant, I started to think about all the things I needed for the new baby including a quilt. You probably think that is easy to come by. At the time I knew no one that could quilt . I approached my wife and asked her to make our baby (She is born now and her name is Julia) a quilt. We are not a traditional family in the way we run the house. I am a kids and baby person (I change diapers, feed the kids, cook etc). My wife on the other hand is a Electronics Tech. She works with her hands repairing and fixing broken electronics devices. I make this point because I am a programmer and have a serious phobia of getting my hands dirty. When something breaks around yard or house it usually her fixing it. So your saying enough of a history lesson, this is a giveaway get to the point. My wife told me that if I wanted a quilt make it yourself. Hum. How hard could it be to make a quilt. That started http://richardquilts.blogspot.com/ For a long time it was just me making quilts. I made my first blog post on Jan 2, 2012. It is worth a read to go back and see where it all started. It did not take me long to get the nerve to machine quilt that first pieced quilt. The quilts name is Train Wrek you can follow that link to find out more about it. Note the name is not because there are trains in the quilt, but that the quilt as a whole was a complete wreck from the start (its a interesting read trust me). This is a batik top that I have recently finished, the largest one to date (Its only twin size). My skills are growing, but I am far from the quilter I one day hope to be. Now 9 months later, I am still lost (OK not lost, but not where I want to be). I set a goal to make 52 quilts this year, 1 per week and I have almost already done that (mostly lap or baby quilts). I am setting a new goal and that is to make a few larger quilts once a month (in addition to the smaller ones). I want to make a queen size similar to the batik above for my bed (I haven't yet made a quilt for my own bed). Before you get too discouraged, you can make one single post and do any or all of the below to enter contest. I will put every thing into a spread sheet. Though if its easier for you, you may have more then one post also. Now with 3 contests we need 3 prizes. Because I have 3 prizes and 3 contests you would think 1 prize belongs to a specific contest, nope that takes the fun out. When we draw for winners the first drawing will be which prize of the 3 listed below will go to Contest A, which will go to Contest B and which will go to Contest C. I know some will not want to do all 3 of the above, which is fine, you will get a chance to win a prize. But if you do all 3, you will be in 3 different contests not just one (Maybe if supper lucky you can win all 3, but I hope we have 3 different winners). I will at the end of the post give an example post so if you get lost look at that. 4 Fat Quarters picked to to match together. There is a solid black, and two Butterfly FQ's - Ball not sure the line or designer. The purple flower is an unknown name or designer. This is my favorite. With Halloween approaching I just cant wait to make a Ghastlies quilt, the fabric line is from Alexander Henry. There are 6 FQ's in grays. I know your saying how can I give away the Ghastlies? Well I held back a few of them for me. Yes 17 FQ and a little yardage can we say I have some Ghastly plans up my sleeves (Remember this bundle I am NOT giving away, but the 3 above are! 5) Pin one of my completed quilts on Pinterest (go to any of my completed blog posts and pin directly to that post one of the images on it please pick posts about completed quilts or blocks you like) You can do this on up to 3 times (remember only 5 bonus entries). 6) visit my Etsy store and like store or items in store. You can do this up to 2 times. 7) +1 any blog post on my site. You can do this up to 3 times. 8) Surprise me and do something more creative as a bonus entry! I leave a comment telling about my goal to make 52 quilts in 52 weeks (Contest A entry) I also am a follower in GFC and Reader (Contest B entry) I hate social media and do not enter Contest C.
I have 2 entries in Contest A, 2 entries in Contest B, 0 in the social crap! Thanks again for visiting Richard and Tanya Quilts, have a GREAT! Day. (Oh and don't forget to click on the big button at top of the post and visit all the other giveaway's going on this week). This is open for international entries and will giveaway will close on September 3rd. 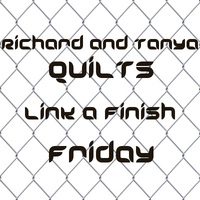 Every Friday, Richard and Tanya quilts sponsors a Link a Finish Friday with prizes. This is the place you can show off your latest finish. A finish is any thing you have done up to a point. That can be a block finish, a quilt finish, a quilt top finish, or you just want to show off what you worked on this week. The point is that we are all sharing and learning from each other. Tanya once a month, with the help of our winner picker Jared, will pick one of those link ups from all Link a Finish Friday's. The winner will win 2 Fat Quarters of your choice from a selection of FQ which Tanya will put together each month. As our official show off this week, I am pleased to show off Tanya's first Designed and Completed quilt. Tanya pointed out to me today that she was sad that few visited her post and commented on her quilt. If any one that has not yet looked at her finish could take a moment to visit it and tell her she did a great job. That is what Link a Finish Friday is about. Sharing what you made and more important visiting those shares and patting them on the back for a job well done. The most visited post from last week was from Mike over at The Amateur Quilter he has Buzz and his friends from Toy Story coming to the rescue on this wonderful quilt for his grandson's 4th Birthday. What a lucky kid. Also for any one that missed we yesterday posted a giveaway of some bowls that my sister in law made, if you have not yet stop by and enter. I was sitting in the sewing room tonight cutting up HST (started a new project, because while you can't have too many projects right?) And it hit me. No not a brick in the head, it hit me that I have not been as giving lately as I was months ago. As you can see from the picture I have again stated another project with the Twirl line of fabric my wife bought when I won a $50 gift certificate I blogged about that here. Also this week my Sister In Law opened her Etsy Store ToshasPottery. So what is it that I plan to giveaway you ask? I wanted to give something Quilt like (as this is a quilting blog after all) and I wanted to give something that I bought from Tosha (or she might have given it to me I have so many cool things she has made) . So when my wife came home from work, I pitched my idea of giving away some of the loot. She agreed and brought me the 2 bowls ahead and my Lizard FQ that I bought. You might remember that I have talked about Lizards in the past. I don't part easily with Lizards, but hey I am in a giving mood. So again to make things clear I am giving away 2 bowls that are hand crafted pottery from my sister in law which she also sells at her Etsy store here http://www.etsy.com/shop/ToshasPottery and I am giving away one cool Fat Quarter of a wonderful Lizard Print. 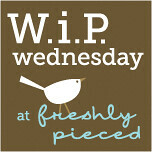 I am sure some of you are saying hey there is a blog hop next week, why not wait. I have decided that I am going to give away today the above listed items and then on Aug 25 though Sept 3 I am going to give away even more stuff. So yes I am committing to 2 giveaways this week. OK I know your all saying shut up and just tell me what I have to do to win those wonderful Lizards (I know I am ,can I enter?) Or you want the bowls OK so here it is. Each item listed below is a entry, so its not do all or lose, its do all and have higher chance to win. 1) Leave a post telling me why you love Lizards (you can lie I won't hold it against you). 2) Follow my blog (or tell me you already follow it) for a entry in separate comment. 3) +1 (found at bottom of this post) this blog post or Follow Richard and Tanya Quilts G+ page or like us on Facebook. When done add another comment. 4) Post about this giveaway on Facebook or G+ or twitter or all 3 then comment that you did. 5) Last and most important Please visit http://www.etsy.com/shop/ToshasPottery and Favorite her store or one of her items and come back and tell me here. If you read yesterdays post I am intrigued by this social networking thing so if you you did not read the post go check it out. The Purple Quilt is done. I haven't thought of name yet or a good name. Swirly Purple Butterfly just doesn't seem right. Does anyone have suggestions for a name? I decided to go with the suggestion Purple Papillon. I pieced the top, and some of the back with leftover blocks, basted it, and Richard quilted it. I think our joint effort turned out nicely. One more gift for Christmas done, many more to go. Both Richard and I need to get back to finishing our blocks for the beginner QAL. I am behind at least three now. I need to take some outside pictures, this doesn't do it justice. Close up of the butterfly quilted in center of block. The older two kids start back at school on Wednesday. It is the first time in 7 years they have been in the same school. James is starting his senior year and Rebecca her freshman year. I think I am more excited for them to start than they are. Jared doesn't start 3rd grade until next Monday. I am looking forward to time with just Julia. No more "Don't wake Mom" at the top of their lungs. Working nights can be not so fun when you have a family.